Web page about railways , life and enviroment . Information about City Transport in Bratislava (included Petrzalka ) you find on server DPB . 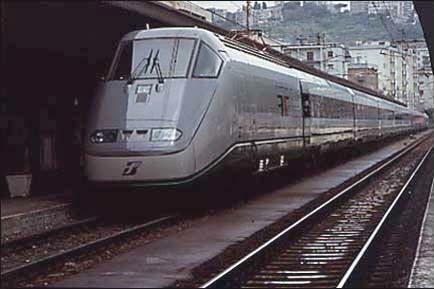 AVE (producer: ALSTOM ), CyberTran , ETR with photos (producer: ALSTOM Ferroviaria - previous FIAT Ferroviaria ) , EUROSTAR (producer: ALSTOM ) , EUROTUNNEL , ICE with photos (producer: Siemens , ADTranz , DWA ) , Shinkansen , TGV (producer: ALSTOM ) , THALYS (producer: ALSTOM ) , TRANSRAPID (producer: Siemens ) , X 2000 , European railway server , High Speed Train Webring . As these pages are unofficial, they carry unofficial (mine) version of the ZSR logo, which the ZSR doesn't use. About enviroment in Slovakia , Czech republic , and other world .